A grassroots program of the Baton Rouge Audubon Society focused on avian research, conservation and education. 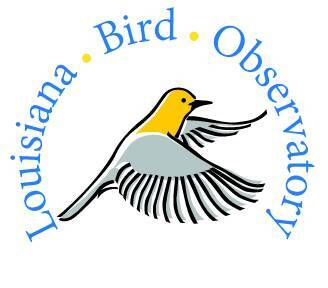 The Louisiana Bird Observatory (LABO) is a state-wide partnership of bird monitoring stations focused on promoting bird conservation through quality science and education. After its beginnings as the Bluebonnet Bird Monitoring Project run in large part through volunteer leadership and support, LABO has grown to include several on-going collaborative projects with other organizations. Our collection of avian demographic and community assemblage data through year-round censuses and bird banding to support conservation and management decisions form the core of our activities, and in addition to developing quality science, LABO routinely provides training for students and outreach for visitors of all ages to help build a more bird friendly Louisiana. "Our mission is to provide opportunities for science-based learning and outreach to the public while collecting and disseminating data on factors that limit bird populations in Louisiana. This volunteer-based effort in collaboration with and support from academic research institutions, state and federal agencies, and other non-profit organizations strives to better the understanding of birds and their populations to conserve and improve habitats on which birds and human communities depend." You can follow Louisiana Bird Observatory on Facebook and Shutterfly.